Masonry composed of rectangular units. Accurately cut, squared and dressed. Laid on a mortar bed. , , and . Squared or rectangular stones not cut or laid in any particular pattern. Ashlar work that is laid in courses that may vary in height. Blocks that are usually splitface that have varying depths that are multiples of a standard height. Fine-grained sandstones or limestones that can be readily worked in any direction. 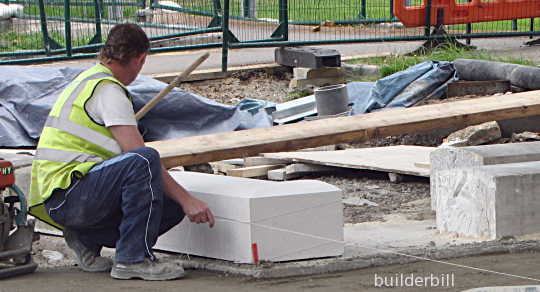 A mason working with an ashlar stone. Note the sharp squared edges. 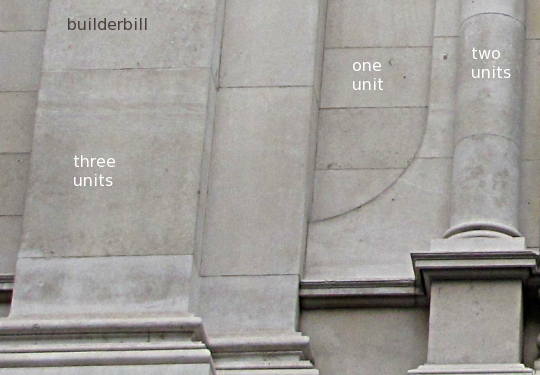 What we think of as good masonry, the type that is used in our cities for public buildings consists a precise stonework and the individual blocks of stone are called ashlars. 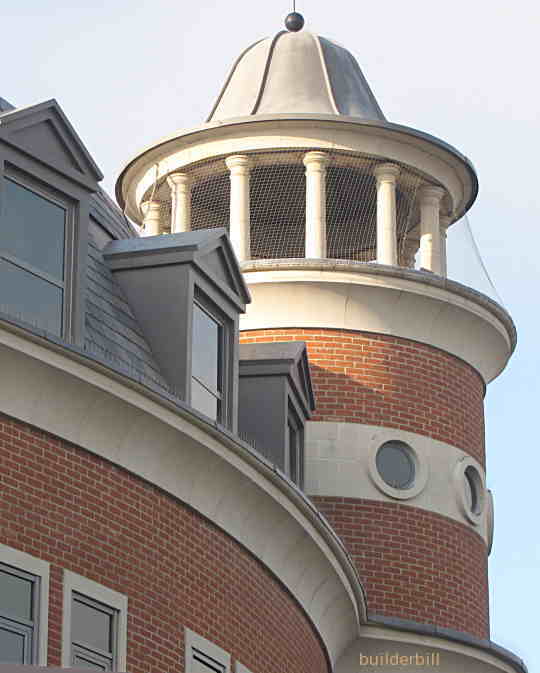 Portland stone ashlars setting off a mainly brick constructed public building in Bromley, Kent UK..
Portland stone ashlars with fine joint. Masonry also using multiple rise, but not for any effect, but for practical reasons of using up smaller size blocks but keeping strictly to full matching bed joints every third course. A detail from one of the buildings designed and built by Sir Christopher Wren in the 17 century at Greenwhich. UK. Once again using Portland Stone.